It's been since June since I posted one of these, too, but I have a good reason, I promise! 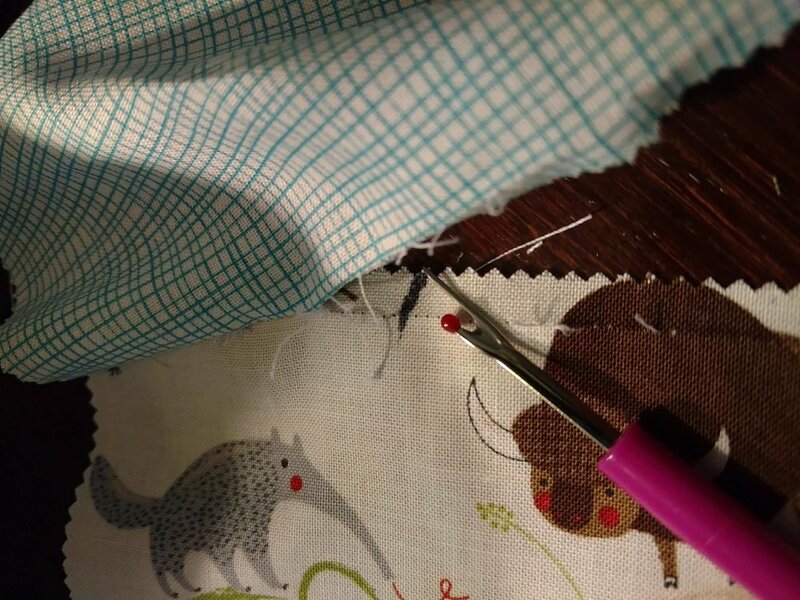 I started a new project, deciding to set the (cursed) table runner off to the side. I haven't posted because it's a gift, but since my deadline has passed and it's been so long, I'm going to make it work. My new project is like a 40x40 inch quilt and I have made loads of progress, but like I said, I missed my deadline and have a new one. Since this is a gift, there are some photos I'm not including on the off chance that the recipient reads this post. But they will be shared once it's finished and they have the little quilt (hopefully by Christmas). Picking out fabric is hard. There are loads of cute fabric, but geez! Finding the perfect fabric for this seemed impossible. But I did find some while I was Row by Row shopping in both Raleigh and in Morehead City. Score! Then came something that was even HARDER! I had to lay out the fabric the way I wanted it. I spent at least four hours moving pieces of fabric around and just standing and staring at the layout to see if I liked it and was perfectly happy with it. With this particular project, the top of the quilt is charm squares, so there is no cutting involved, which I really enjoyed. 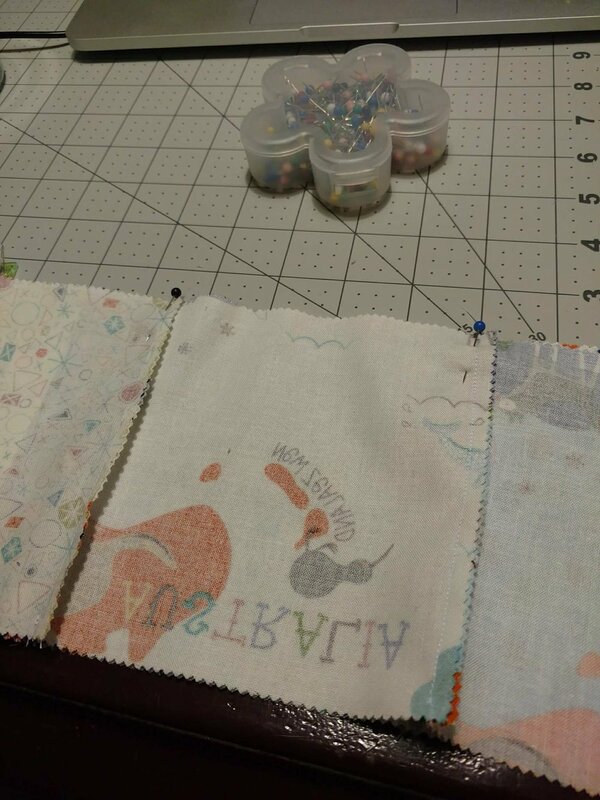 After I had my layout, I was able to label my 9 rows and start sewing the squares together until I had 9 rows. After that? Mom pressed the seams and then I pinned two rows together before I began sewing them together. I still have two rows left before I then have to start sewing the rows together again until I have a quilt top. EEK! This, compared to my (cursed) table runner, has been a seamless process. (There is a sewing joke in there somewhere, haha!) Well, except for a few things, which you'll learn about in the What I Learned Section. There are more photos below as well! - Not all charm squares are created equally. At least, that's what I'm assuming. Because my seams can be perfect and somehow, it still turns out wrong. Plus, some of them do look bigger. - My machine hates me every other time I work on it. I was only able to work on it for an hour yesterday because this black ooze/gunk started running down the needle and I couldn't wipe it all off. I'm hoping I have better luck fixing things today. - The longer I do this, the more things I find I want to do. Like a bookshelf quilt. A rag quilt. 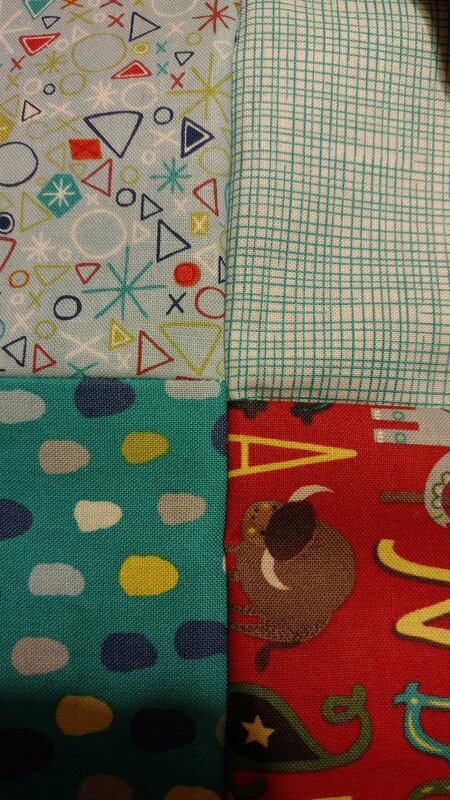 A little quilt for Bartley (using the same pattern I'm using for this current project). And the list goes on and on and on! That's it for this edition of my (Mis)Adventures, which surprsingly doesn't have too many oopsies. I promise not to wait so long until I post again. 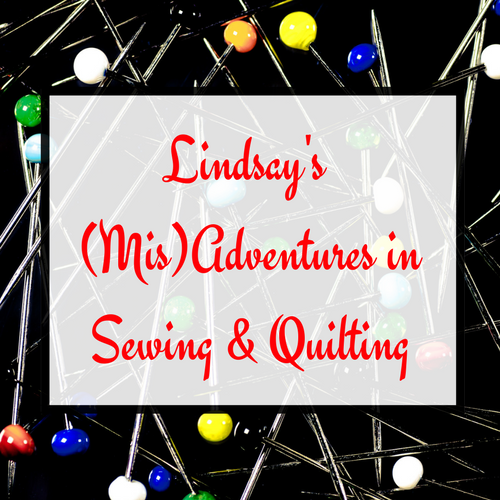 I'm actually hoping to start sewing 30 minutes to an hour (almost) every day in the mornings. That seems to be the best way to make consistent progress, especially when I'm in the middle of a project. Do you sew? What are you currently working on? Newer PostBack to Me is FREE!